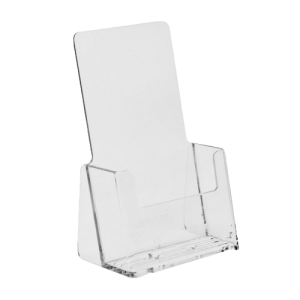 The Countertop Model Single Pocket Tri-fold Brochure Holder is a counter model, single pocket brochure holder with an extra capacity pocket. 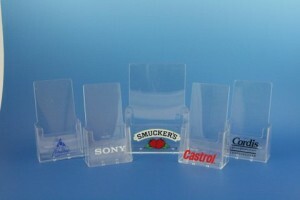 This product is crystal clear injection molded to provide a strong, durable, and affordable display. Our proven design of 25 years has set the industry standard. 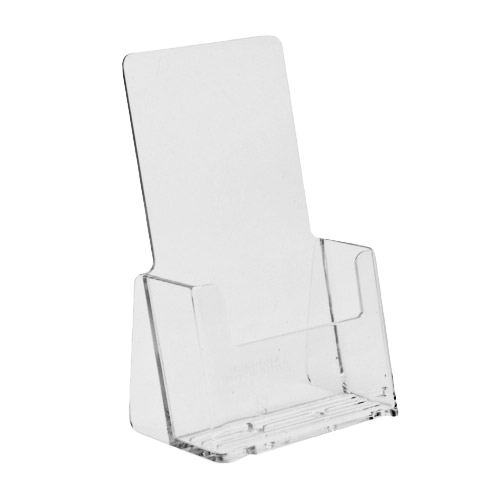 This holder is made to last due to its robust features and design. 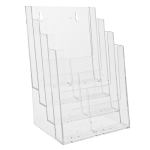 Unlike the thin wall versions from other providers, we have maintained our original wall thickness and added several new improvements. The pocket is 1½ inches deep; the deepest standard pocket in the industry, giving you extra capacity and added value. The three ridges on the bottom of the pocket keep your brochures and literature standing straight and not curling over time. 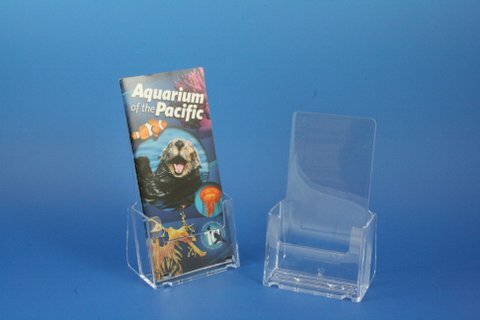 Proven and tested over time to give you an inexpensive, high quality display. 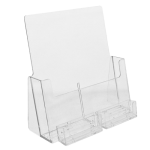 The Countertop Model Single Pocket Tri-fold Brochure Holder for Countertop is the choice of brochure holders for today’s budget conscious display. 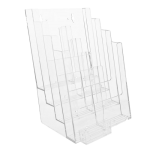 Our molds are polished to an optically clear finish, the highest standard available. This means you get zero distortion on your display, showing true colors with no visible distraction.